Each year millions of people around the world celebrate Christmas in a myriad of ways. There’s no denying this holiday and its significance to so many people, and for us, this is one of many times a year where we make more of an effort to appreciate others and remember to be more open-hearted. To celebrate the holidays this year, we’ve hand-picked special collection of stories and articles on Christmas from the Wiley Blackwell collection and elsewhere. Test your knowledge by taking our quiz, read about the history of the holiday, and explore how the phenomenon of Christmas has spread around the world in the most interesting ways. Please enjoy, and whatever you may believe, happy holidays to you and yours! Enjoy our special collection freely through January 31. What’s in a(n Empty) Name? Are Angels Just a Matter of Faith? At the end of 2014, there were an estimated 19.5 million refugees worldwide. In the recent months, this crisis has been the center of much debate as Syrian refugees enter Europe. Many of these people are families with children, forced to flee their homes or risk their safety. In light of the tragedy of the recent terrorist attacks in both Paris and Beirut, some countries are now enforcing strict background checks on these Syrian refugees, or shunning them altogether. To foster an engaging conversation, we have brought together a collection of content freely available across the social sciences, as well as roundtable discussion podcasts from our recent webinar on the issues of refugees and migration – ranging from ethics, family studies, geo-political, humanitarian responses and social problems. “Policing the Desert: The IOM in Libya Beyond War and Peace” (2015) focuses on an NGO, the International Organization for Migration, that aided displaced sub-Saharan migrants to return to their countries of origin in the wake of the Arab Spring, NATO military intervention, and the fall of Gaddafi in 2011. It analyses the role of non-governmental humanitarian intervention in European “surveillance, spatial control and management of mobility”, that is, the role of unaccountable international organisations in implementing state policy on the governance of personae non gratae, “unwelcome people”, before they reach “our” national borders. “Riding Routes and Itinerant Borders: Autonomy of Migration and Border Externalization” (2015) also investigates European states “restructuring their border regimes by externalizing migration management to non-EU countries”.This exploration of contemporary migration control policies–the “off-shoring of borders”–shifts our gaze from the places that loom large in the mainstream media, such as checkpoints and camps, across space, enabling us to see practices of state “reterritorialization”. The paper develops a set of concepts for understanding these practices that should prove to be invaluable. Bringing it all back home, as it were, “Asylum and the Post-Political: Domopolitics, Depoliticisation and Acts of Citizenship” (2014) looks at the governance of asylum seekers in the UK, dissecting practices of classification and distribution for “securing, managing and ordering” the nation. Asylum seeking has become a “problem”–as if it were a “threat” to the nation from which it needs to be secured. The dominant discourse in the UK isn’t about rights and justice but, rather, policing and regulation; it’s about risk management and the procedures ordering immigrants. In a similar vein, “Neoliberalizing Border Management in Finland and Schengen” (2013) presents research on the “neoliberalization” of border control, tracing the development of rationalities and technologies reducing migration governance to a matter of procedure (enabling/constraining mobility, dealing with “threats”) rather than politics. And like the first two papers, it draws our attention to European policies of “pre-emption and border enforcement at a distance”–something too often overlooked, perhaps, in much of the current debate. “State Responses and Migrant Experiences with Human Smuggling: A Reality Check” (2013) charts changing narratives of migration in the media, political dialogue and policy documents. The causes of migration have been placed beyond the pale; we might say that emphasis is now on routes rather than roots, on the fees and boats of “criminal” smugglers rather than the criminal regimes from which so many need protection. Rather than people seeking protection from terror, the smuggled are represented as a threat to be dealt with. Voice is given to them here, though, with interviews uncovering something of the experience of being smuggled and seeking asylum today. This guest post from Antipode has been published as a part of our continued conversation on Migration and the current Syrian Refugee Crisis. Here is our last post, Mobility is “here to stay,” contributed by the journal, Population, Spaces and Places. As a follow-up to our roundtable webinar hosted October 16, our panelists answered audience questions that we did not have time to get to in the live session. Remember, a recording with the roundtable discussion will be available soon! The erection of new barbed wire fences on the Hungary – Serbia frontier, the re-appearance of border guards asking for papers on cross-border trains into Germany, and the heated exchanges between European leaders on the issue of how to respond to the influx to the EU of hundreds of thousands of people in recent weeks are all signals that the contemporary state has not adapted well to the new mobilities of the current era. In a globalised world, population mobility is multi-causal demanding sensitised policies differentiating economic migrants, international student mobility, refugees with internationally recognised rights, asylum seekers fleeing hostilities and many other kinds of mover. Mobility researchers have long shown that these different categories are interlinked and far from unproblematic, yet recognition of the different drivers of mobility seems scarcely to enter the rhetoric of many state leaders whose political interests lie elsewhere. Most European politicians, while no doubt well informed by the academic community, have their eye on the large proportion of their electorates who cling to the view of space and place as fixed assets and of boundaries as defendable lines which need to be re-inforced to exclude the ‘other’ from the resources of the state. And as has been the case throughout much of history, most of those who are mobile face powerful resistance from interest groups who feel threatened by the external forces driving change. Unlike in the past, however, those who are mobile have access to new networks empowering them to achieve their ambitions. It is not only the transnational corporations of the 21st century that have overcome the nation state’s ability to harvest taxes from economic flows, but it also the smartphone-holding transnational networks of the world’s mobile populations who have the capacity and flexibility to outwit the lumbering indecision of a weakened system of state governance. Transnational communities now have the capacity to quickly circumvent the outdated barbwire defences of the state, simply moving to other frontiers and new entry routes, and informed minute by minute by transnational community members on both sides of the boundary line about how to re-position themselves. Mobility is “here to stay”. Researchers have long-shown that migration is only a small part of the much wider set of mobilities pervading contemporary society. In virtually every walk of life global mobility has been increasing. For example the search for world class educational credentials has seen an ever rising number of students moving abroad to study. And like so many other mobile people, these educationally-linked moves are seldom permanent in intention. Short-term objectives of studying in another country have been shown to be part of life-mobility aspirations with study in one place being a trampoline to onward or return movement in order to achieve life objectives that have been mapped out against a perceived world of opportunity. In this tweeting internet age, young people from around the world are now informed of the trajectories offered by transnational living. The mobility revolution of the 21st century is here to stay. It is here to stay not only in the sense of many transient movers becoming more settled citizens (Platts-Fowler et al, 2015), but in the sense of mobility culture being an enduring feature of our increasingly diverse, globally inter-connected society (Johnston et al 2015). There is no sustainable way for states to go back to impermeable closed frontiers and immobile governance structures relying on detention of illegal migrants and repatriation for those that have got beyond the barbed wire frontier. Despite this, detention practices seem to continually be expanding, even although research has shown that it harms people (Lietart et al, 2015) and does not deter irregular migrants (Silverman et al, 2012). Equally, countries like Albania in the 1980s learned that it is impossible to sustain closed borders for any length simply by banning emigration and policing exit points. In 2015 governments of major destination countries may gain legitimacy amongst elements of their electorates by talking tough on immigration and organising media events to publicise the latest enforcement measures to detain illegal migrants, but attempting to hermetically seal frontiers to all human mobility is impractical in the modern state. In neo-liberal economies flows of international students help finance the higher education sector, international tourism is a key part of the economic system and international business travel is central to the functioning of global capitalism. In this context it is not only hypocritical to legislate against human mobilities generated by dire military conflicts and humanitarian crises, but it is also utterly futile. Managed migration policies of course remain an important goal in social democracies seeking to offer good governance, but more important is the need to develop state policies to manage ‘mobility’, with its much more diverse drivers and actors. Attention needs to focus for example on how to develop policies for transnational social protection schemes for mobile families (Faist et al, 2015) and how to persuade long-term residents that population mobility is a healthy part of global systems of exchange. 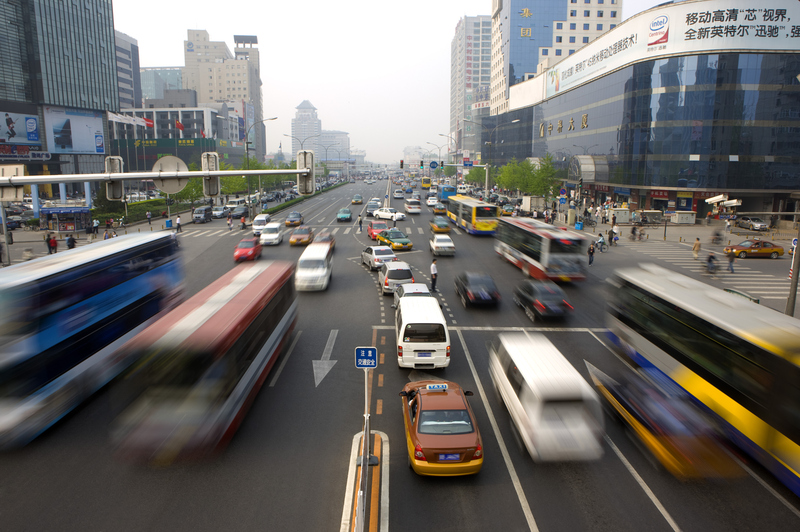 States that succeed will prosper since mobility is here to stay. Those that fail and simply seek to close frontiers and detain illegal migrants will appear in the history books as the King Canutes of our age. This post has been contributed by Population, Space and Place as a part of our segment on Migration and the current Syrian Refugee Crisis. Here is our last post on follow-up questions from our round-table discussion. Be on the lookout for more posts to continue the conversation. Last Friday, I was thrilled to have Dr. Serena Parekh, Dr. Immanuel Ness, and Dr. Reenee Singh join me for an hour long webinar discussion on the Syrian refugee crisis and the wider implications of global migration. The three panelists discussed the refugee crisis in terms of children’s welfare, globalization, media coverage and bias, government aid, and the impact of these types of crises on families. Parekh, Ness, and Singh all made insightful points. Dr. Parekh discussed the relationship between concepts of statehood and boundaries, and how borders become permeable in our digital age and are a form of exclusion – harmful to human rights. Dr. Ness pointed out that government aid from neighboring countries and the countries of the UN is great, but there should also be a burden of aid on the countries that are forcing refugees to leave in the first place. And Dr. Ness shared her experiences as a family therapist in helping families address new the culture in which they are now living, and how to manage the stress of new multicultural lifestyles. I want to thank our panelist for an impactful discussion. During the roundtable, we answered a few questions from our listeners, but we didn’t manage to answer them all. Below are two more questions from our listeners, answered by our panelists. IN: Destination countries have a range of policies on migration, depending on labor skill, population shortage, and causes of population shifts. In the European context today, the passage of migrants is creating political pressures on the governments in the Balkans and in Eastern and Central Europe, due to growing xenophobia against foreigners of Muslim dissent. We are even seeing growing nationalism in Germany, with the growth of the right-wing social movement, Pergida. In response, tensions are rising and government leaders are scrambling to arrive at coherent policies through imposing border control or persuading sending countries to create safe havens for refugees. IN: Those refugees who have traveled as far as Europe are likely to have higher levels of education and skills and often the same religious traditions. Eastern European leaders have permitted the migration of Catholic and Eastern Right emigres from Syria but are reticent to allow Muslims to enter and settle in their countries. However, Germany was a recipient of tens of thousands of Turks in the post-war years who filled job shortages, and many stayed permanently and have been absorbed into the national fabric of the country. The new wave of migrants are refugees, and may also contribute to the economic expansion of Central and Eastern European economies. However, it is also possible that they could tighten labor markets and work for lower wages, expanding unemployment and the reserve army of labor. RS: Refugees suffer from what Renos Papadopoulos would describe as ‘nostalgic disorientation’ which is about missing the sights, sounds and smells of home. Everything in the host country can seem strange and confusing. Many refugees do not come from welfare states and do not know how such complex systems in the Western world work. This is compounded with language difficulties. Sometimes, one family member (often the man) can remain loyal to their country of origin while women, especially women with children, tend to adapt more quickly to the host county. Children will often take on the roles of translators and cultural guides for the families, creating inversions of gendered and generational roles. Further, the notions of how ‘the family’ is constructed and what constitutes mental health, problems and their treatment varies greatly from one culture to another. Refugees may experience the lack of fit between their belief systems and those of the host country. Keep checking back on the Philosopher’s Eye next week, where we will be posting two more blogs from A.M Findlay, editor of Population, Space and Place, and Antipode. At the end of 2014, there were an estimated 19.5 million refugees worldwide. This crisis was drawn once again into sharp light as Syrian refugees flooded Europe in recent months. Many of these people are families with children, forced to flee their homes or risk their safety. Join us Friday, October 16, 12:00pm – 1:00pm EST for a virtual roundtable discussion on migration and the refugee crisis. Our panel of experts span the social sciences and humanities to examine issues of refugees and migration ranging from ethics, family studies, and geo-political. Register today as seating is limited! Dr. Immanuel Ness is a professor of political science at Brooklyn College of the City University of New York. 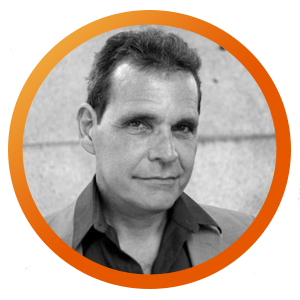 Editor-in-Chief of The Encyclopedia of Global Human Migration, Ness’ research focuses on labor, urban political economy, migration, imperialism, and social mobilizations, worker insurrections, strikes, solidarity in Global North and Global South. He is a labor activist who founded the New York Unemployed Committee, Lower East Side Community-Labor Coalition and labor organizer for several unions. Dr. Serena Parekh is an Associate Professor of Philosophy at Northeastern University, where she also holds the position as Director of the Politics, Philosophy, and Economics Program. Her primary research interests are in social and political philosophy, feminist theory, continental philosophy, and the philosophy of human rights. Dr. Parekh has contributed to noted journals such as Hypatia, Philosophy Compass, and The Southern Journal of Philosophy. She is also the Editor of the APA Newsletter on Feminism and Philosophy. 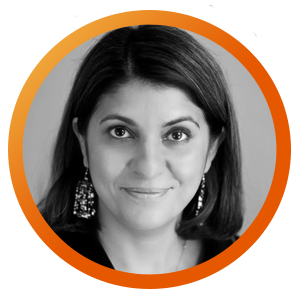 Dr. Reenee Singh is a family therapist based in London at the House Partnership. She is also Co-Director at the Tavistock and UEL Family Therapy and Systemic Research Centre as well as Editor of the Journal of Family Therapy. Singh holds a particular interest in the intersection of therapy, race and culture. 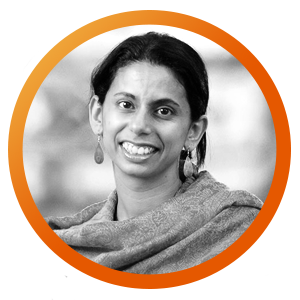 She attributes her personal history and cultural context, growing up in India and having lived and worked in Singapore, as an influence her approach to therapy, research, supervision and training.